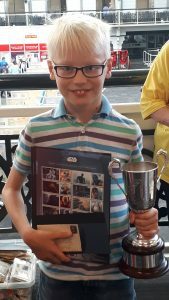 This year’s “Young Collector of the Year” was TOBY MIDDLEMIST from Haverfordwest, aged 10. He received his trophy, Star Wars Sheets, donated by Royal Mail and a Penny Black Cover, supported by Beckett Philatelics, from the new Chairman of Stamp Active, Susan Henderson. Toby started collecting stamps after a Stamps in Schools workshop, run by Erene Grieve, three years ago. He was only 7 at the time. His mother says he came home full of it and so excited to start collecting. Then he discovered that she had a stamp collection already and he took her collection and developed it. He also signed up for the free postal club, run by Stamp Active, Kidstamps. Then he decided that he would focus his collecting on British Commonwealth, Great Britain and Sweden where there is a family connection through his mother. He has spent a lot of time reading about stamps and looking on the internet and has become very knowledgeable. People kept telling him he should join a club but he didn’t know of any so he decided to create one in his school. He wrote off to Stamp Active for a Starter Pack and with some help from a teacher and started a club. They have been meeting every week. He has 7 members some of whom were in the original workshop though not all of them started collecting then. A Learning Support Assistant sits in with them. Toby “teaches” them about stamps and stamp collecting and has a great thirst for knowledge himself. He has now joined the local philatelic society. 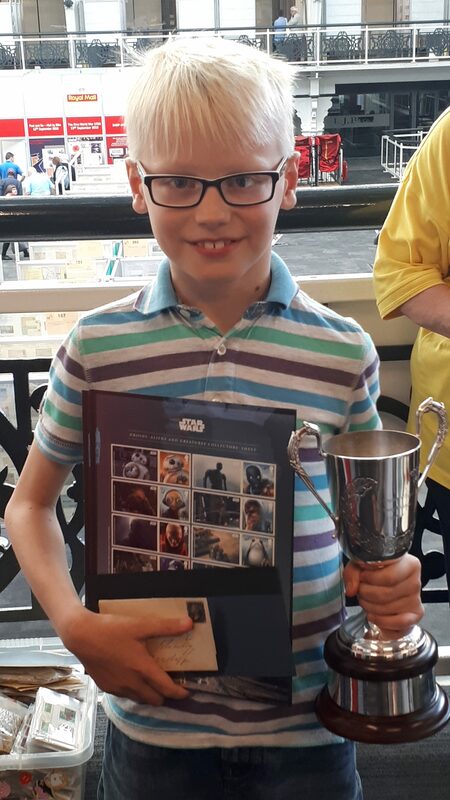 The presentation to Toby of the “Young Collector of the Year” was a total surprise to him and it was great to see the joy at receiving his prizes, particularly the Penny Black on cover. Toby also visited the members of the Great Britain Philatelic Society who sponsor the Stamp Active Competition after the presentation.